"Phantom Passenger". Photo by Mike Chen aka MetalMan, via Flickr. Click above to see the photo on Flickr. 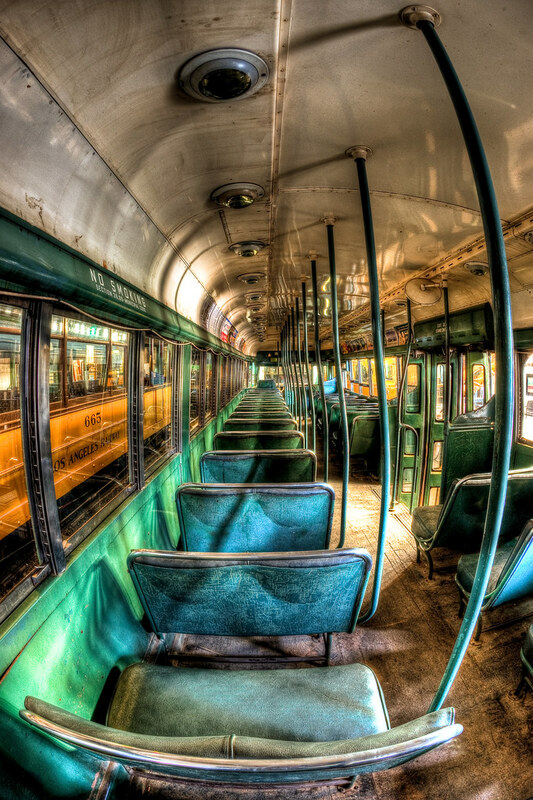 This fish eye high dynamic range (HDR) photograph taken by Michael Chen effectively captures the perspective of a passenger in an old Los Angeles streetcar. The HDR brings out all the details of the “Yellow Car”, part of the Los Angeles Railway (LARy) streetcar system that ran from 1901 to 1963 (you can read more about LARy on this Wikipedia entry). This streetcar and others now reside in the Orange Empire Railway Museum in the city of Perris, CA. If you’d like a photo of yours featured, consider joining Metro’s (slowing growing) Flickr group or email them to us at sourcemetro@gmail.com. We’re hoping to share a beautiful transit image everyday, and would love to feature some of our readers work. Poll: How would you plan the Westside Subway Extension?